It all changed this year. I know that there are ebbs and flows with everything and that teaching is one of those things. I know there are good years and OK years and years that make you think "Good gracious, when will it all end?" This year is no exception. Overall this has been an OK year for many different reasons. However, when it comes to grading it has been a "Good gracious, when will it all end?" I have had many times where I question my ability to teach, where I consider going back to school and getting my MBA, or becoming a PE teacher - why didn't I do this to begin with? I could wear yoga pants every day! In many ways this year I have adapted some survival tactics so that I can enjoy make it through my piles of essays that I will share with you now. - Grade two papers a day for a month, you might eventually finish. - Before you grade think of the top 3-5 things you want the essay to do, only read those parts and grade accordingly. - Take a break every 10 papers or so, but don't snack, you will gain 10 pounds in a week! - Stop grading when comments start to become "Did you listen to any of the directions I gave you?!?!" - Remember that it is their paper, not your paper. - Stack the deck - I like to student's who usually produce good work and place their papers strategically though the pile. It is a needed boost when I am considering walking off the job. - Find the funniest simile, metaphor, personification etc. One of my favorites was "Love is like a pot of wine, just one drink and you are passed out drunk." So much about this is beautiful. Who drinks wine from a pot? What kinds of wine renders a person drunk after one sip? How did an 18 year old senior know about this wine? - Run a mile after every 20 papers. It keeps you awake and fresh. Works well when you are stuck grading at home and can run around your neighborhood or have a treadmill. - Remember that these kids, even though they are not your kids, are some one's kids. They are daughters and sons and should be treated with worth. 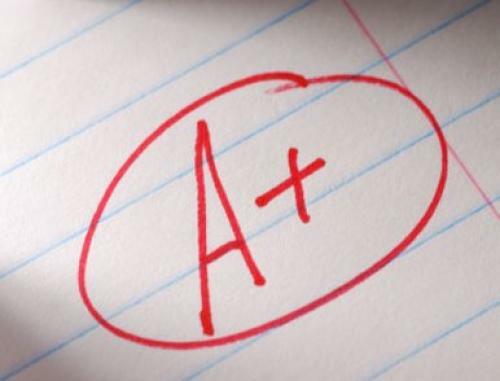 - Assign grades based on how much I like them, how much they gave me in a Starbucks card for Christmas, how many excuses they gave when they turned the paper in, or blindly make piles of papers in a stack for As, Bs, Cs, Ds and Fs. Obviously, I do none of these, but it is fun to think of new ways to grade. - Instead of getting mad, sad, depressed I now laugh. Just laugh it off and move on. The kids who do care will continue to do well and the ones who do not will change one day or not. You cant fix everyone. - Pray. I honestly have to pray before I sit down and grade these days, it helps me remember to be kind. No matter how much you want to throw the paper away or just give them all As there are plenty of ways to make it through that mountain staring you down. Do not get discouraged and do not feel like you are alone. This too shall pass. Author Name:	Erica J. T.
Jun 16, 2018 Highlighted Key Writing Guidelines for ESL Foundation Learners by Erica J. T.
Jul 31, 2017 Effective Writing Instruction Teaches Developing Writers to Construct by Erica J. T.
Mar 24, 2017 Differentiating Writing in the Classroom by Erica J. T.
Oct 15, 2016 Fractional Analysis As an Approach to Literary Writing by Erica J. T.
Oct 5, 2016 Types of College Essay Topics That Every Student Must Know by Erica J. T.